I’d like to continue my “multi-CAD and PDM” story. If you had no chance to read my yesterday post The Anatomy of MultiCAD-PDM integrations, please do it before continue. I want you to take some initial context from there. I’ve been talking with Brain Roepke, director of PLM and “father of Autodesk Vault”. My interest was to learn more about Autodesk Vault PDM in the context supported CAD systems, Open APIs and openness. According to Brian, Autodesk is investing a lot in multiCAD capabilities. It comes in various capabilities and different applications. I’d like to to strict my coverage purely to Autodesk Vault. So, this post will not cover multiple translators and ability to read different CAD formats by various Autodesk products and for variety of purposes – visualization, simulation and many others. Autodesk Development Networks (ADN) allows you to have the ability to develop applications using AutoCAD, Inventor, and other Autodesk products. In addition to that, you may use 3rd party tools that allow you to access Autodesk files and formats. 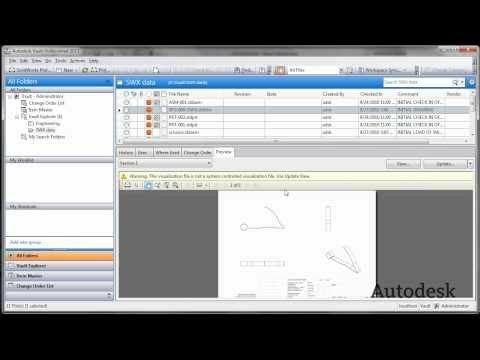 I found integrations with Autodesk Inventor, and AutoCAD developed for Windchill, Enovia, TeamCenter, SAP PLM and others. Some of the integration developed by vendors and some of them, by partners. Vault makes use of Web Service technology, which greatly simplifies client/server communication. Fundamentally, the Vault API allows a program to interact with the Vault server component, also known as ADMS. In fact, Vault Explorer and the CAD plug-ins are built on top of this API. So you have the same level of access to server data that Autodesk clients have. Following this you can learn that Autodesk Vault SDK is installed automatically with Autodesk Vault. According to Autodesk you don’t have to be ADN (Autodesk Development Network) member to use APIs. You can add attachments between any two or more files within the vault. Attaching a file to another in Autodesk Vault creates an association between the two files in the vault. Using attachments, you can check out all the files that are linked together and work on them as a unit, regardless of the applications that created the files. For example, you may want to attach a set of images to a Microsoft Word document if the images are linked to that file. In a design environment, you may want to assign a relationship from a document that represents assembly instructions to the actual CAD assembly files. I can recommend you the following blog post – 6 hours of videos of Vault API, which contains quite good collections of videos you can use for training. It includes presentations and code samples by Doug Redmond. I’ve been searching for integrations of Autodesk Vault with major CAD systems of competitive CAD/PDM providers – SolidWorks, CATIA, Pro-E / Creo-Parametric, SolidEdge and NX. Here are few videos shows examples of these integrations. What is my conclusion? 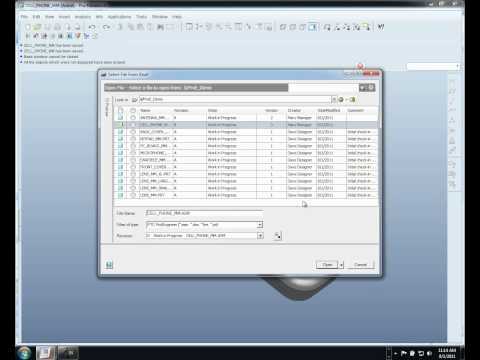 I found multiple ways to develop Vault PDM integration with CAD systems. Some of them requires API and development. Some of them can be done just by product configuration. I believe in such a thing as “integration”, devil is in details. It sounds like Autodesk has an intent to be open. More APIs and Web Services approach supported by Autodesk Vault provides a good foundation for that. Just my thoughts… I’m looking forward to learn more from comments and discussion. Disclosure: This post was reviewed by Brian Roepke before publishing.